Is there anything more delightful than a cute little cherub in a bubbly sink bath? I think not! Check out George's adorable six month lifestyle session! There’s always something special about twins, but I’m pretty sure there’s something extra special about this determined little duo. Meet Hazel & Flynn, two little cuties that are bound to make you smile. A couple of weeks back I posted Emmerson Garland’s Fresh48 Session. This sweet little dot was just 24 hours old when I first met her at Birthcare and I was really excited to return 10 days later to photograph her and her beautiful family again. This time in the comfort of their own home. 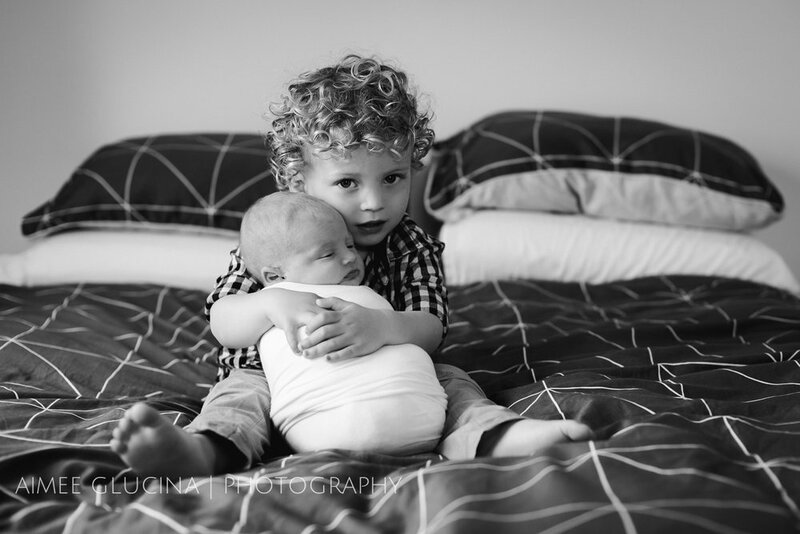 Theo and Isabelle | He's already mastered "protective big brother". 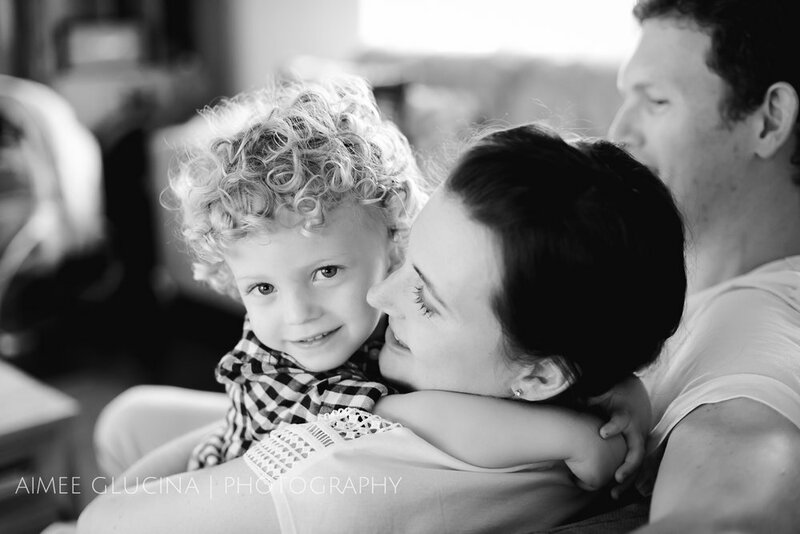 The thing I love most about Lifestyle Photography (and there are LOTS of things) is that I get to photograph my families in the comfort and familiarity of their own homes. I think that this is particularly important when it comes to including toddlers and pre-schoolers in a family session. Being in their own environment allows them to relax, to enjoy things, and to treat me like a fun new friend – and not the scary camera lady. Spending the morning with Theo and his family was exactly like that. We made fast friends and he showed me around and introduced me to some of his favourite things. Sure, I was actually invited over to take pictures of his beautiful new baby sister, Isabelle, but there’s always still time for a quick carpentry session or a mini hallway picnic! 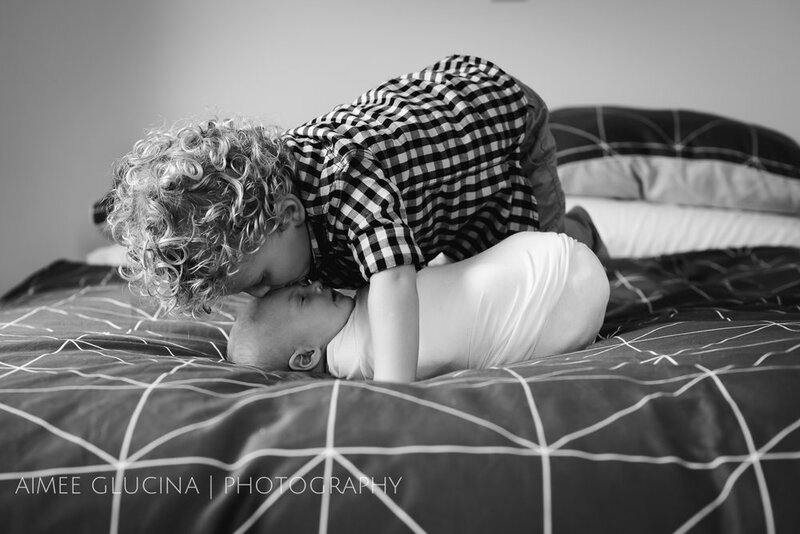 Allowing toddlers and older siblings to ease into a session like this means that you get to see the best of their naturally inquisitive, cheeky, and sometime shy nature. I was lucky enough to capture shy smiles, full cheeky grins, eyelashes for days, and the sweetest little sleepy faces from both Theo and Isabelle. Truly, a dream session like this one can’t be beat. Thank you so much Malina and Dan for inviting me in for such a wonderfully relaxed morning. You have such a beautiful home and thoroughly enjoyed meeting the gorgeous Daulton littlies! I sincerely hope you’ll have me back when it’s time to capture their next milestone.